The news that Huseyin Lazip Dirioz, the new ambassador to Russia (in fact, chosen as early as June) has finally assumed office has fanned speculation on whether the appointment is for better or for worse. What signal is Ankara sending Moscow by choosing a seasoned professional who once served as NATO’s Assistant Secretary? The turbulent relationship between the Russian and Ottoman empires was often spiced with mistreatment of their highest emissaries. When in 1768 the Sublime Porte chose to enter into war with Russia, Ambassador Alexei Obreskov and the entire staff of the embassy were locked up in the Castle of the Seven Towers, known as the Yedikule Fortress. Fortunately, he was spared the lethal privilege of being served diamond dust stirred into his morning coffee. Later, in the 1780s, Ambassador Yakov Bulgakov was thrown into the same dungeon (where he busied himself translating French authors into Russian). Nicknamed “the obnoxious Russian” by the Sultan, he was eventually set free and sent back home, contrary to the insistence of his British, Swedish and Prussian diplomatic peers. Nowadays, ambassadors are no longer regarded as “expendable” by the receiving side. The change of guard at diplomatic missions is usually a standard procedure. But not in cases when a dramatic cooling of relations or accelerated rapprochement is in progress between the two respective nations. In such a context, the professional and personal qualities of the person to assume the post of “Ambassador Extraordinary and Plenipotentiary” must match the expectations of both sides and usually tends to deliver a conspicuous message. Huseyin Lazip Dirioz, Turkey’s new Ambassador to Russia, has all the necessary qualities for being referred to “Extraordinary and Plenipotentiary” and treated as such, since, in the first place, he is a veteran diplomat who joined the service back in 1978. Dirioz’s CV is hallmarked by prominent positions close to the upper echelons of power of the Turkish Republic. As foreign policy adviser to former President of Turkey Abdullah Gul he was involved in shaping or at least influencing diplomatic priorities. The experience he gained as the official representative of the Ministry of Foreign Affairs invariably translates into the ability to handle intricate topics in public and come up with a convincing narrative aimed at “winning friends and influencing people” (meaning, other nations and habitually skeptical media). 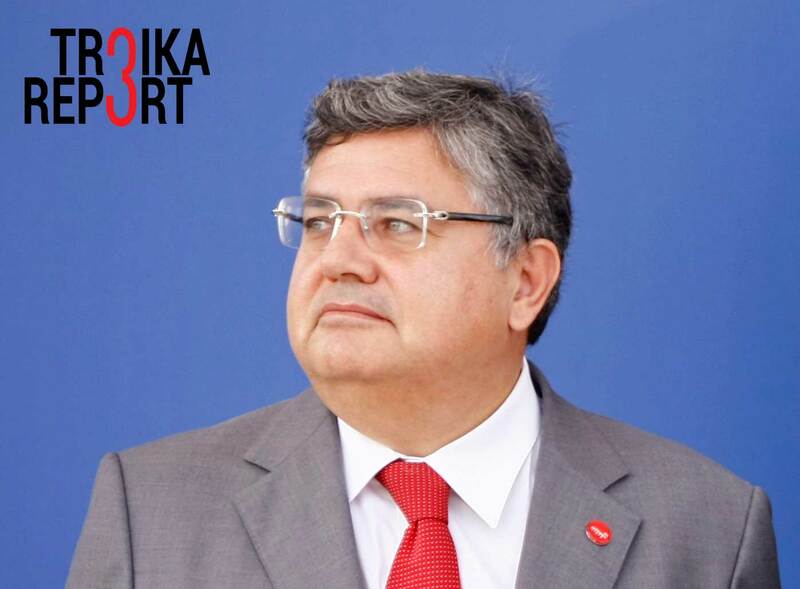 Dirioz also served as Minister-Counselor at the Turkish Embassy in Washington D.C. As ambassador to Jordan (2004-2008) and then in Brazil (since 2013 until now), Huseyin Lazip Dirioz has accumulated impressive credentials that automatically elevate him to the crème de la crème of the Turkish diplomatic corps. By appointing a diplomat of such a high status to Moscow, Ankara is sending a clear signal: Turkey is serious about restoring and even upgrading the multi-faceted relationship that suffered a setback after the incident with the SU-24 aircraft in November 2015. Will the D.C. connection matter? However, the odds are that Dirioz effendi could well have his own preferences in choosing friends and allies. It should be duly noted that Ambassador Dirioz obtained his Master of Arts degree from the University of Virginia in the U.S. No less substantial was the “grooming” he received at the NATO Defense College in Rome in 1987-1988. Being second-in-command in the Turkish Embassy in the United States most certainly has earned the high-ranking diplomat some good connections among the decision-makers on the Potomac River. In the capacity of NATO’s Assistant Secretary General responsible for defense policy and planning, Ambassador Dirioz was part of the inner circle that dealt with sensitive issues like missile defence and nuclear policy of the alliance. It all adds up to a conspiracy-leaning assumption that Ambassador Dirioz might not simply act as a re-translator and forwarder of instructions coming from Ankara but might be pursuing, at times, his own hidden agenda. Yet this looks like a typical conspiracy theory that is hardly compatible with the current rigid “command-administrative system” in place under President Recep Tayyip Erdogan. In fact, the new head of Turkey’s diplomatic mission to Moscow will be in charge of bettering the soured dialogue and upgrading it to a “new quality level,” as Turkish Foreign Minister Mevlut Cavusoglu put it. “Overall our relations are moving in the right direction, we plan not only to return to the pre-crisis level but to reach new heights,” Cavusoglu said on the eve of Russian President Vladimir Putin’s visit to Turkey on Oct. 10. However, while harmonizing business priorities on the safe terrain of cooperation in the energy sector (pushing forward with the Akkuyu nuclear power plant and the Turkish Stream pipeline project) looks like an easy task, bridging the gaps in the two states’ often divergent national interests and understanding of regional geopolitics is a daunting challenge for both sides. Nevertheless, there are indications that a convergence of standpoints and approaches cannot be ruled out. On Oct. 14, Russian Foreign Minister Sergei Lavrov made a remarkable gesture of goodwill: “The fact that Turkey can play a positive role by ensuring the settlement of Nagorno-Karabakh conflict, ensuring normal economic cooperation in the region, is such an important factor that we always consider it,” he said. There is also a fair chance that Moscow and Ankara might be able to narrow their differences on the thorny issue of finding a solution to the crisis in Syria. Ibrahim Karagul, the editor-in-chief of the Islamist daily Yeni Safak, recently opined that Ankara and Damascus have now solid grounds for positive interaction, because the prospect of partition would please neither side. With the Syrian Kurds keen on carving out their sovereign state of Rojava, Ankara is wary of allowing a precedent to be set that would resonate well with radical Kurds in Turkey. “Turkey should distance itself from getting stuck on [Syrian leader Bashar-al] Assad, and encourage groups that it has influence over for a solution [to the Syrian] crisis,” said Karagul, claiming the U.S. was the real enemy. The time has come for Ankara and Damascus to cooperate, retired Brig. Gen Naim Baburoglu claimed in an interview with Al-Monitor. “Turkey insists on the maintenance of Syria’s territorial integrity, so why does it refrain from this cooperation? Especially when it is clear that Syria’s territorial integrity is the guarantee of Turkey’s territorial integrity,” he said. Should Ankara and Moscow come close to seeing eye to eye on the fate of Assad and agreeing on principles for settling the internal conflict in Syria, it would really boost the bilateral relationship to new heights. It is clear, however, that this can be achieved only if Erdogan’s new man in Moscow turns out to be a truly top-notch mediator and excels in displaying long-term imagination and pragmatic performance. For the moment, Ambassador Dirioz has all the prerequisites to go down into the history books on diplomacy as the right person in the right place to achieve what seemed earlier as mission impossible.